With the arrival of good weather, many of you prepare their sporting seasons. Year-end resolutions or planning a marathon, there are a thousand and one reasons to change your shopping habits and it is important to select your equipment with care. The number of brands, models and possible options is immense. The technological feats advanced by the distributors are sometimes deceptive and it is very important to make a thoughtful and measured choice. Your feet, naturally, will be the first to suffer if your shoes are not adapted and there are simple but essential points to keep in mind before you start a new purchase. We can not stress this point enough. Choosing the right shoe for the right foot is a job. Being at the top of the design is good, do not have to stop his season because of an avoidable injury, it's better! Each foot is different and requires a suitable footwear. Some brands, for example, are perfectly suited to a fine foot, while others will work much better with a wider foot. Pronator foot, supinator, slider, ... there is a terminology sometimes difficult to understand for the neophyte and proposed corrections depend not only on the shape of the foot but also the style of race. Equip yourself with your usual socks, make an appointment in a specialized store and let you advise according to your goals and your morphology. Of course, if you notice the development of pain under the forefoot or under the heel, it is advisable to consult a specialist doctor. We usually group sports shoes in 4 categories: running, fitness, walking and specific. So select your shoes according to their function. Race: emphasis will be placed on shock absorption, flexibility, heel control and maintenance, light weight, and propulsive and breathable properties. Walking: Pay attention to the flexibility of the textile and the absorption properties of the sole.Be very careful of seams that need to be flexible and unresponsive. Finally, the shape of the outsole must allow a good pace when walking. Fitness: Comfort, lightness, breathability and absorption properties are the most important elements. Specific: football, golf, dance, ... some sports have a specific range of shoes. Do not forget that there is a good reason for this and expect injuries if you play a football game on wet and crampon-free ground! If you play 3 or more times a week, plan to buy a pair of specialized shoes. They have been specially designed to ensure maximum safety in this specific type of activity. As technical as a shoe, it will bring only discomfort see injuries if it is not perfectly adapted. With both feet of slightly different sizes, always trust your widest foot. Do not choose according to your usual size. Made to measure your foot and choose only after having tried your shoes on both feet. It is better to test the shoes at the end of the day, when your feet are wider. If you are a woman with a wide or long foot, feel free to try men's shoes. Wear your socks normally used for sports. If you are wondering if a shoe is too small when you try it, you have your answer. It is not for you. You must feel comfortable as soon as you try your new pair of shoes. Unlike city shoes, do not tell yourself that your sneakers will gradually adapt to your foot. They are designed to be immediately portable without pain. You must feel a good hold of your heel in the shoe. A stub that is not stabilized is often synonymous with future injuries. The problem is even more obvious if you suffer from deformities of the foot like a hallux valgus (also called onion) or hammertoe . The inflammations of the insertion of the Achilles tendon, marked by a bump on the back of the heel, also represent a pathology imposing a strict footwear. Many sports foot problems can be offset by warming up, stretching or changing shoes. Yet you have chosen a suitable and comfortable shoe, but after several races will feel new pain in the knee or foot? Sometimes your foot requires a fine adjustment of the shoes to allow you to run safely. It is impossible for designers of sports shoes to predict every anatomical or biomechanical situation and they strive above all to adapt to as many people as possible. 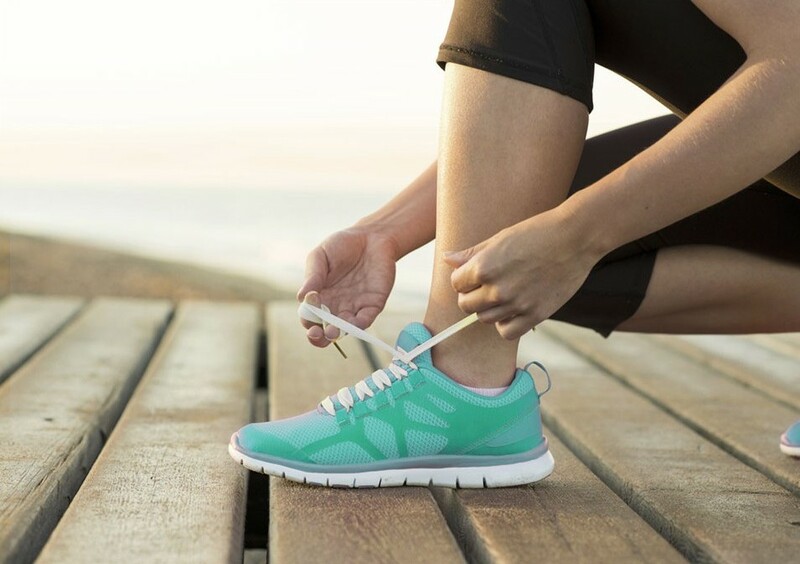 Internal modifications such as customized soles or retro-capital supports, can be beneficial for the health of your foot. If you are a great runner, or suffer regularly from your feet, this is an option to consider. The additional cost will be largely offset by the profit.